Event Description: Stroud Vintage Transport & Engine Club stage their 44th Annual show at South Cerney Airfield on the outskirts of Cirencester in Gloucestershire. The event combines a huge Steam & Vintage Transport Show, Country Show & Aicraft display making it a unique value for money event for the entire family, young and old alike. Event Description: The venue, for Whitby Traction Engine Rally, is located next to Whitby Abbey, approximately five minutes walk from the centre of the popular tourist town of Whitby. Stsge shows with dancers and singers. The Spectacular Saturday Night Firework Display will be one of the highlights over the weekend. 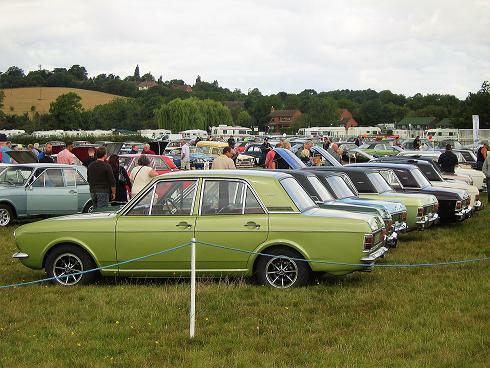 Event Description: National Rally of the MkII Cortina Owners Club, held in conjunction with the MkI Cortina Owners Club, The Lotus Cortina Register and the 105E club. To be held over the weekend on the infield of Stratford on Avon's racecourse. Open to all club members and visiting Mk2 Cortina owners. Autojumble. Camping on site available for the weekend. Full facilities. Event Description: Belton funday and classic car show now in its 5th year this event continues to grow. With 4000 people and 200 show cars attending in 2018 this year's show promises to be just as exciting. Free to enter and free to show cars there is also entertainment for all the family. Punch and Judy shows, character meet and greets, fire breathing displays, circus skills are just some of the fun things to do and see. With about 40 stalls of unique crafts and gifts and of course the show vehicles there really is something for everyone. Event Description: A traditional country event. Show marquee with competition exhibits from locals including garden produce, jams, cakes, and art work. Entertainment includes; Sheep Racing, Birds of Prey, a fun dog show, craft tent, stalls and CLASSIC CARS!. Event Description: A repeat of last years successful event, an informal gathering of anything transport related. 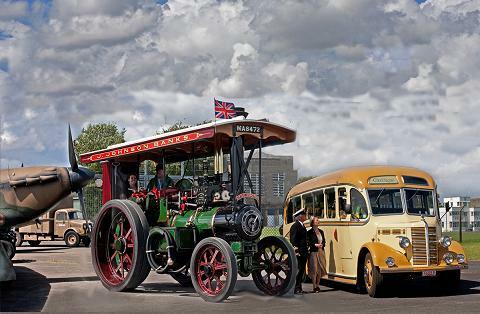 Classic vehicles, vintage vehicles, steam vehicles all welcome. There will be a large working vintage Hornby train layout plus other layouts and any train or transport related exhibit attendees wish to show. Transport themed 'Real Ales' and food available from the bar. Event Description: The rally is of interest and amusement for the whole family, whilst at the same time retaining the essence of the bygone spirit of our event. We have traditional steamers, historical motor vehicles, stationary engines, a model marquee and miniature steam. Amble around the stalls, have a look at our old time fair rides, look through our sections of motorcycles, commercial vehicles, military displays and our wonderful old time organs. Event Description: Now in its 6th year over 25,000 visitors last year. Be part of a great event. Huge list of attractions: country fair, music festival, golf, shooting, archery, beer festival, cycling show, arena activities including Jousting, farmers market, craft market, local sports and activities, health and wellbeing stalls, fairground and plenty of retail therapy! 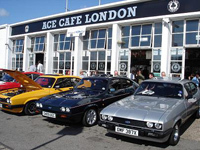 Event Description: A gathering of Capri owners from all across the country get together at London's famous Ace Cafe diner to talk Capris & have a look around. If All the car parking spaces have now been taken, however, if you own a Capri (or just have an interest in the "car you always promised yourself" just turn up! 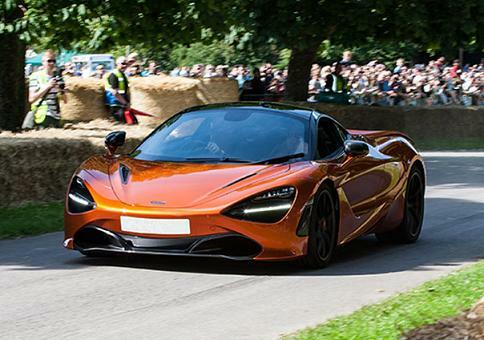 Event Description: See the worlds most prestigious supercars unleash their horsepower through the grounds of Beaulieu as the Beaulieu Supercar Weekend returns for a second year. Event Description: The Hebden Bridge Vintage Weekend, organised by the Rotary club of Hebden Bridge, will again be staged at Calder Holmes Park. Event Description: The jewel in the crown of vintage motorsport and the Vintage Sports Car Club�s premier motor sport meeting of the year. A two day celebration of vintage motorsport featuring cars from the dawn of motorsport. 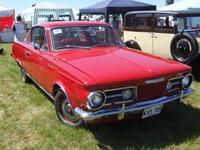 Event Description: Classic Car Show including concours) and Family Fun Day. Bentley Drivers Club at Silverstone. Event Description: 2019 sees the BDC return for our 70th consecutive year at Silverstone where the traditional all-Bentley Scratch and Handicap races are every enthusiast's dream; where else can one enjoy such a fabulous display of Bentleys in action spanning 100 years? 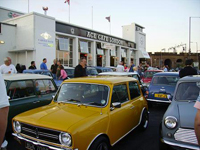 Event Description: Join us to celebrate 60 years of Mini at the British Motor Museum. See hundreds of popular Mini's, Metro's and MINI (BMW)'s dating back as far as 1959 when the first ever Mini (621 AOK') was produced. For 2019 only, our Show moves from the traditional date of the first weekend in June. Event Description: This amazing collection of vehicles is displayed against the magnificent back drop of Helmingham Hall and its surrounding moat which sits in the middle of the ancient deer park.Dress to Impress! Do you own a classic vehicle and want to show how you would have dressed in that era? Then why not come along in your car wearing your vintage fashion and display all that was great from that time period. We will be running a competition for the �best dressed� and would like to see a range of participants displaying styles from throughout the years � from demob suits, full skirts and petticoats to flares, we�d love to see you dress to impress. There will be an abundance of local food, drink and entertainment. We are excited that country music artists Sam Coe & The Long Shadows will be performing among other performers, plus Chocks Away will be dancing throughout the day showing off their skills in Jive, Swing and Lindy Hop.